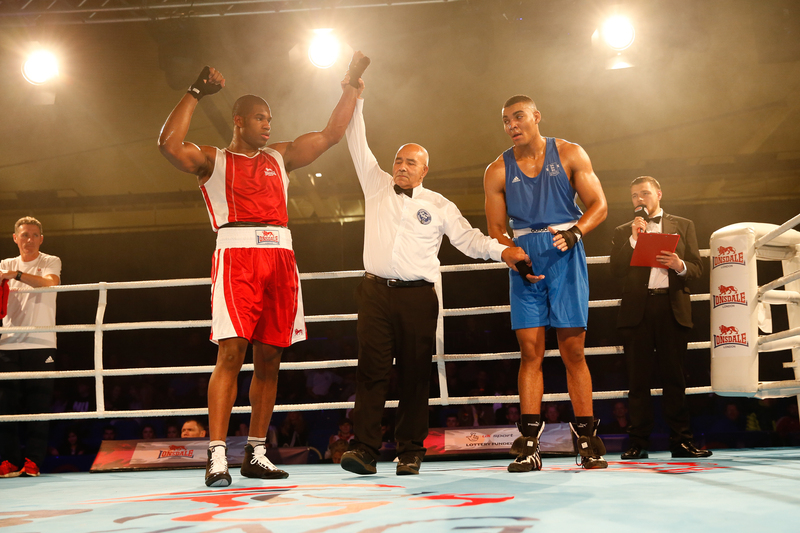 SUPER-heavyweight Daniel Dubois delivered a controlled performance to win his first senior domestic title in last night’s GB Boxing Championships at the English Institute of Sport in Sheffield. The 19-year-old is the latest boxer to come-off the super-heavyweight production line at GB Boxing’s headquarters in Sheffield and follows in the footsteps of London 2012 gold medallist, Anthony Joshua, and the winner of the 91kg+ silver medal in Rio, Joe Joyce, who was in the crowd watching. In his sixth contest as a senior, Dubois did not have it all is own way against Warley ABC’s Soloman Dacres, however he found his range by the end of the third round when he finished the bout with a flurry of punches that might have led to a stoppage had the contest gone any longer. Dubois’ victory in the last bout of the evening concluded a night of excellent boxing that saw wins for seven English boxers and two each from Wales and Scotland. 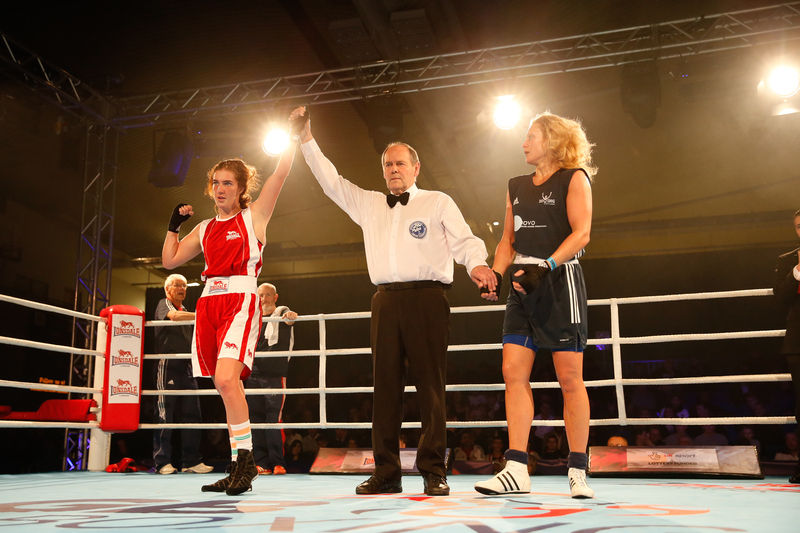 The women’s competition saw victories for Helen Jones of Wales at flyweight, England’s Ramla Ali at bantamweight and Crystal Barker from GB Boxing’s Podium Potential squad in the lightweight contest. In the men’s bouts, the winners were Wales’ Joseph John, Boris Crighton and John Docherty from Scotland and Callum French, Dalton Smith, Carl Fail, Cheavon Clarke and Dubois of England. Two of the best performances of the evening came from Birtley ABC’s Calum French and Dalton Smith of Steel City ABC who were both representing GB Boxing. 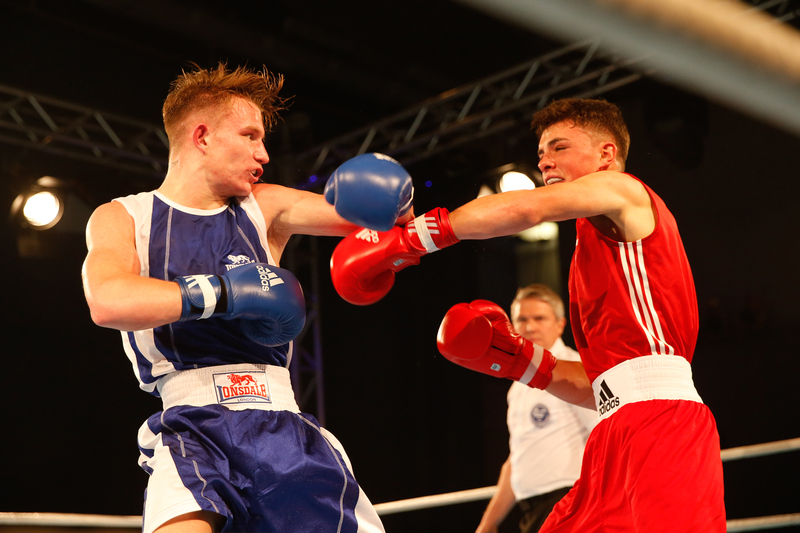 French, like Dubois is a member of GB Boxing’s elite Podium Squad, showed his class and was never troubled as he delivered a unanimous victory over Cory O’Regan of Bradford Police and College Boxing Academy. 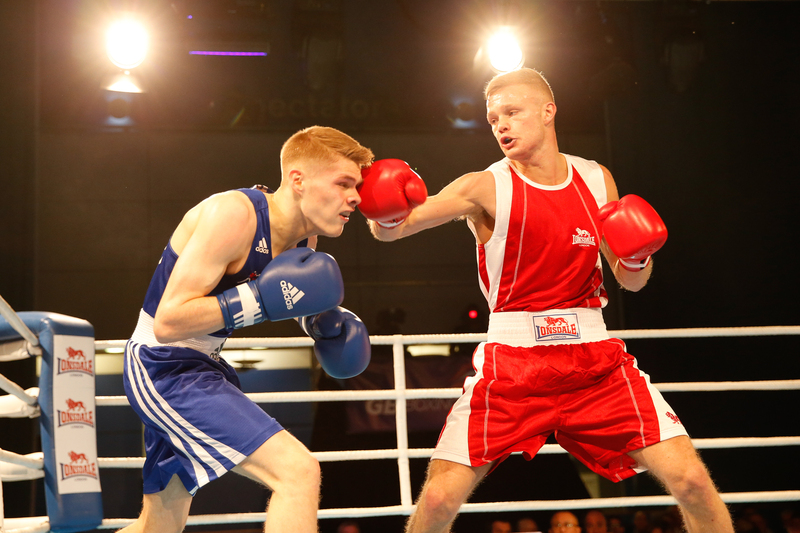 Boxing in front of his hometown crowd, Smith, who is part of GB Boxing’s Podium Potential squad, delivered an entertaining performance to overcome a game effort by Martin McDonagh of Rumbles Boxing Academy in Kent.